Posted January 30, 2017 by Louis Rabinowitz & filed under Episodes. It’s a golden age of superhero television out there. Just look at the CW’s expansive DC universe that began with Arrow, that now encompasses four shows. Or there’s Netflix’s equally ambitious gambit with Marvel, which is about to come to a crescendo this year with The Defenders. Meanwhile, staples Agents of SHIELD, Gotham and Lucifer continue to tick away in their little bubbles. There’s an embarrassment of choice for silver-screen spandex, but that means there’s shrinking room for genuine innovation as more shows come in every year to add their own spin on the formula. Legion, then, is an anomaly in every respect. It doesn’t fit the upbeat heroics of The Flash or Supergirl, nor does it emulate the gritty and grounded tone of Arrow or Daredevil. In fact, putting Legion in any kind of box feels reductive. It’s a show precision-engineered to defy categorisation, flaunting each and every one of the rules set up by the dozens of superhero shows out there. Whatever risks the genre has taken beforehand are amplified tenfold here, to the point where it’s genuinely surprising this is still going out under the Marvel banner. This means that Legion is, to put it simply, bizarre. The pilot episode, where you might expect a show to gingerly take its first steps into the world by testing out its tone, is best described as a 62-minute fever dream – a plunge into a world where up is down, left is right, and traditional storytelling structures are nowhere to be seen. It makes Doctor Strange, a movie hailed for its trippy visuals, look as visually daring as an advert for car insurance. It is unashamedly one of the weirdest things you’ll see on television so far. If that description works for you, then hop on board – because, once Legion begins to really establish itself, it becomes one of the most exciting experiments you’ll see on TV this year. 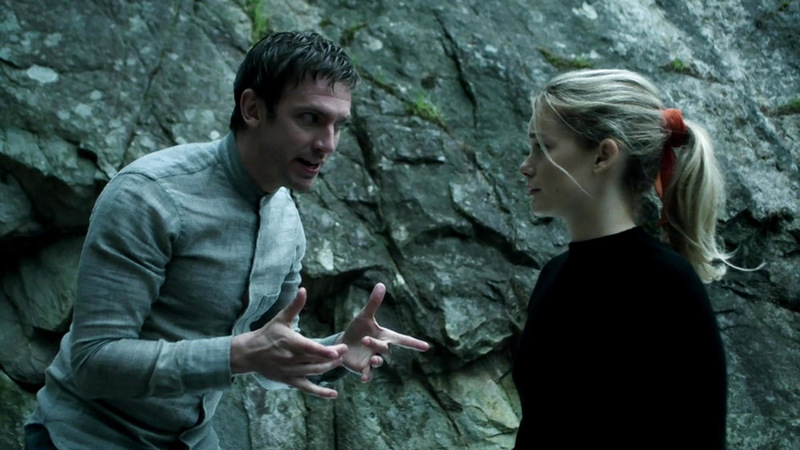 The show’s unique protagonist is David Haller, who was diagnosed with schizophrenia at a young age, and who weaved in and out of institutions from then on. Just about everything you see is filtered through his scattered, fractious perspective, and it’s that perspective that lends Legion the unnervingly trippy feel that soon becomes its trademark. Experiencing the world through David’s eyes means linear storytelling is out of the window, as Legion plunges back and forth throughout time, looping into dream sequences and bizarre montages before emerging to surge forward again. 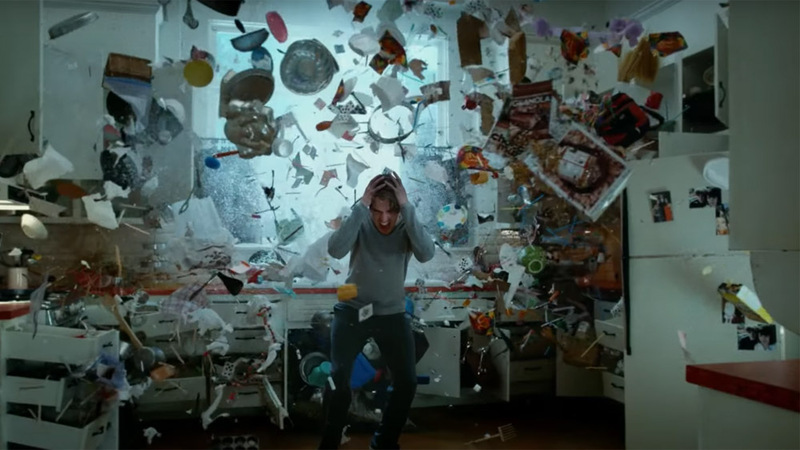 It’s a truly unique way to tell the story that paints a compellingly textured picture of David’s mental state, and it helps to sketch in a detailed and highly idiosyncratic character that we can root for as viewers before Legion will begin to test that emotional investment in the coming episodes. Not only is the story told in a captivatingly strange way, it’s also portrayed as such in a visual aesthetic that amplifies the hallucinogenic feel of David’s world. It’s a compliment to the eminently capable direction of Noah Hawley and the crew that nothing in Legion feels realistic. The sets are alternatively ultra-kitsch, Wes Anderson style, such as the mental institution that serves as a launching pad for much of the pilot’s events, and hyper-modern, as if Hawley blended the aesthetics of his two seasons of Fargo, set in 1979 and 2006, and added in a multitude of other influences to create a visual feel for the show that perfectly suits David’s deeply subjective perspective. Not much of the pilot’s plot can be described without heading into spoiler territory, but suffice to say that it’s distinctly off-book from any familiar comic book motifs, with even the explosive manifestations of David’s powers playing more as surreal nightmares than something awe-inspiring and impressive. There’s a love story, which provides one of the pilot’s reliable emotional through-lines in amidst the flurry of weirdness, and there’s sequences that draw upon ideas you may have seen in the X-Men movies, but everything is given its own stylised, unusual spin so that the story being told feels completely original, divorced entirely for the most part from the playbook of tropes that most other superhero shows have drawn on heavily. None of this is to say that Legion doesn’t provide the simple pleasures that viewers flock to superhero fiction for. There are several strong sequences where the adrenaline is cranked up and David’s outsize powers are revealed to us, and the excellent visual effects do an excellent job of communicating the sheer scale of what he’s capable of compared to a typical superhero figure. The highlight, however, is one that strays from the typical explosion of David’s powers to deliver a minute-long one-take fight in the classic Daredevil mould. Aided by the swooping camerawork that dives in and out of the action as bodies fly and guns are fired, it’s one of the moments where Legion dips into familiar ideas – but it does it with such finesse and directorial craft that the familiarity is more than forgivable. Legion won’t be for everyone. It’s conceivable that it could become a Marmite show, alienating some viewers with its unusual storytelling that defies any expectations that the Marvel or X-Men labels may represent. But its boldness, its desire to carve out a completely different niche in the genre, is both refreshing amidst a glut of superhero shows, and exciting on a number of different levels. If Legion keeps the individual vision and commitment to weirdness of its pilot across its first eight episodes, then Noah Hawley has something special on his hands. Airs at 9pm on Thursday 9 February 2017 on FOX.